Thank you for the enjoyable time we had together on 2 and 3 Dec! We hope that this camp has built up an iron-willed determination in you to overcome obstacles in life, develop yourself for the greater good in society, beyond personal achievements such as academic success. Insecurities can creep in in any aspect and in any stage of our life, but remember: others do not inherently pose as obstacles for us; it is our insecurities which prevents us from speaking up and interacting naturally with them. We are our own barriers. The aim is to remove the barriers step by step. In Day 1, we learnt that power poses, when done for 2 minutes, can increase the testosterone hormone to increase our confidence immediately. Of course, this is just the first step that we can tap on. Happiness comes from having good interpersonal relationships. In the camp, we also learnt the importance and ways of building a positive relationship bank to construct successful relationships with others. 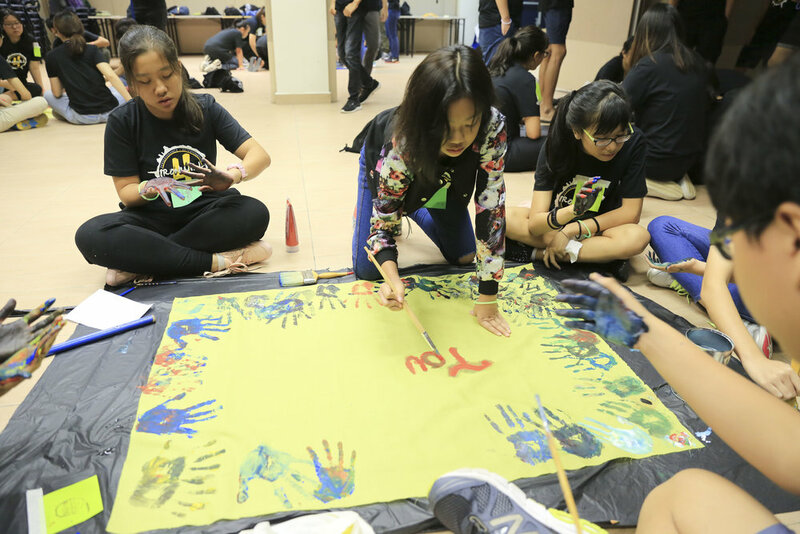 Remember the lessons presented through skit by our facilitators – Jin Mu Shui Huo Tu? 1) Power Poses 2) Take initiatives- such as learning from the more capable, taking small steps like Google-ing for unknown information, is also a step forward. Why does conflict arise? Is it really others who are in the wrong or did we not reflect on ourselves? Quality of relationships has a huge impact on our health and happiness. In Day 2, we learnt about Relationship Bank Account (RBA). Deposits to RBA include keeping promises, being loyal, listening, and doing small acts of kindness. Withdrawals include breaking promises, gossiping, being arrogant, set false hopes, keeping to yourself. The quality of our relationships depends on how many deposits and withdrawals we make in each account. Start depositing something positive to your RBA today to build and improve your relationship with others! You have started your deposit into your RBA since day 1. Kudos to our youth programme in- charge for bringing the learning across through skits and games! Kudos to our facilitators for their humorous skit performance and enthusiasm in making this camp fun for you! "Learning how to work together and embrace the difference in each other." - Ming En, 14 years old. Our goal is to have the other party walk away from our action feeling positive, upbeat, and hopeful.